is an online retailer of more than 1,000,000 business items, adjusting the mainland United States, Canada, and the United Kingdom. Founded in 1994, Shoplet.com became one of the first stores to be launched online. The company features over 400,000 office supply and business supply products and ships products quickly to their customers in various parts of the country. 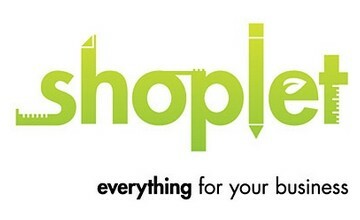 Shoplet.com is a trusted online retailer of all types of business and office supplies. At this online store, customers can find virtually everything that their office or business needs ranging from clips and soaps to chairs and desks. Also, the company offers free shipping on orders above $45: products that are eligible for this offer have the “Eligible for Free Shipping" sign. Shoplet.com also offers 100% satisfaction guarantee for up to 30 days, you may want to read more about their Return Policy on their official website.